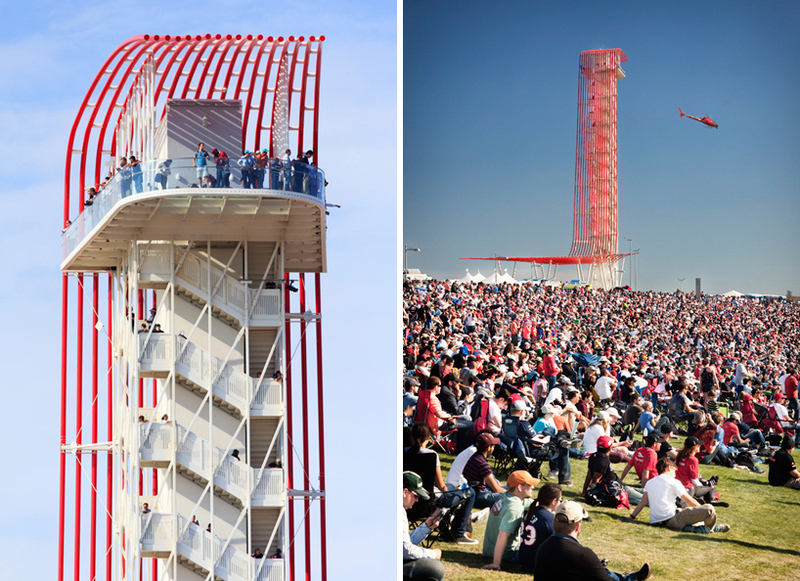 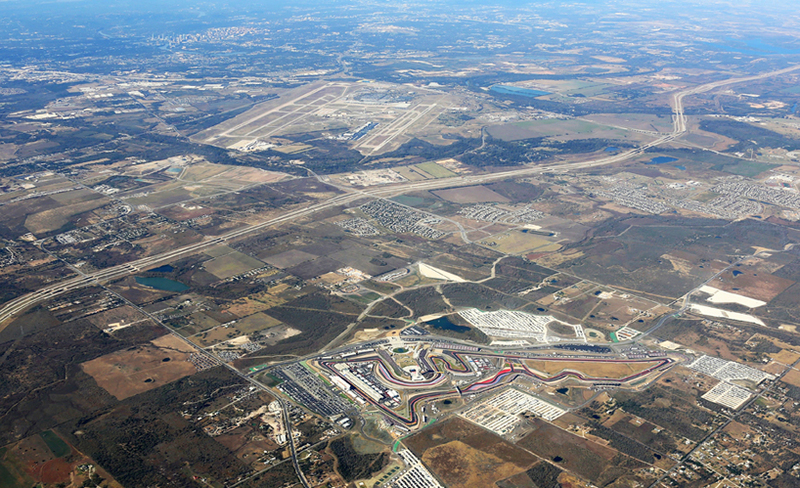 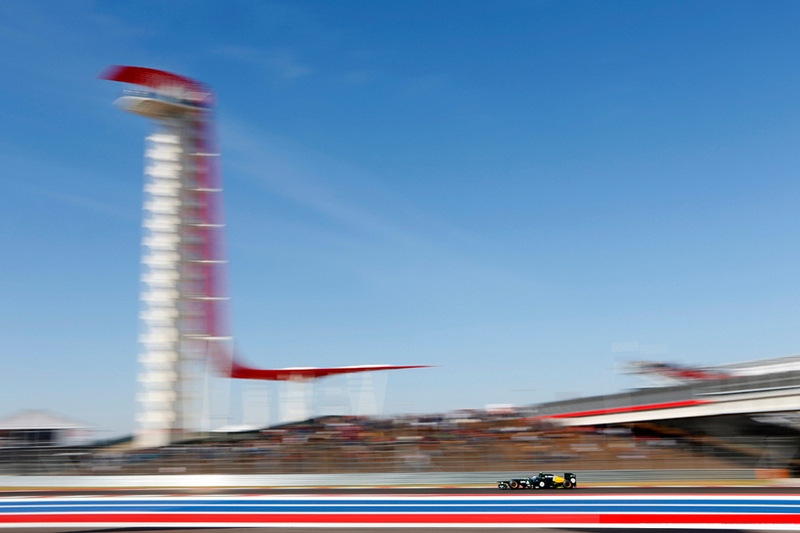 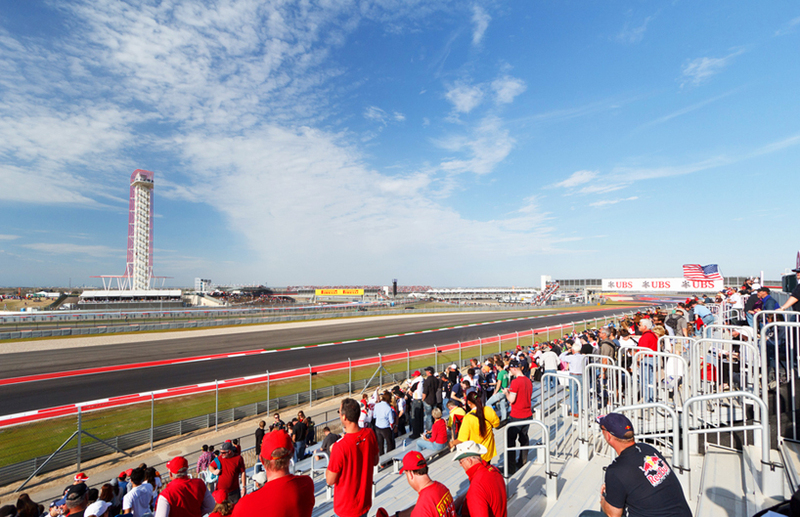 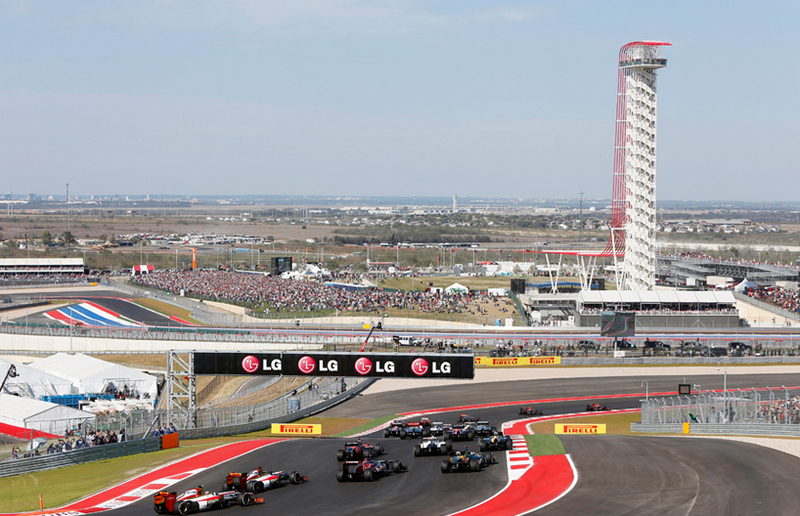 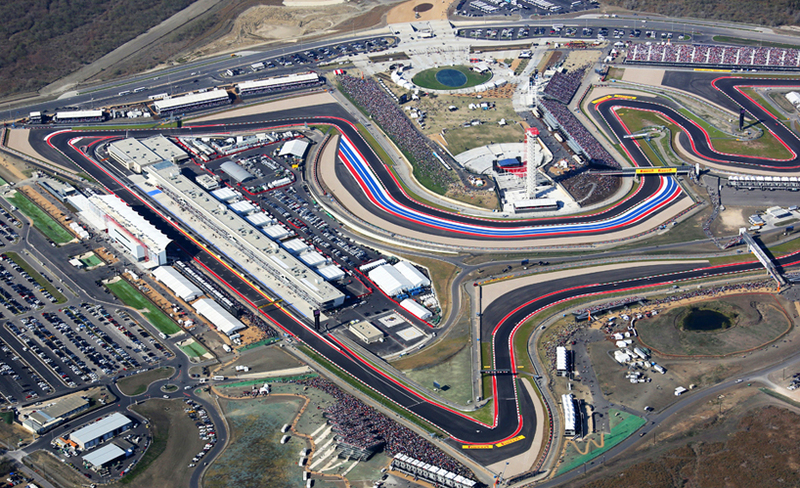 2012 has hosted the formula 1 grand prix, motoGP and V8 supercar races on a newly built 3.4 mile track located just southwest of downtownaustin, texas. 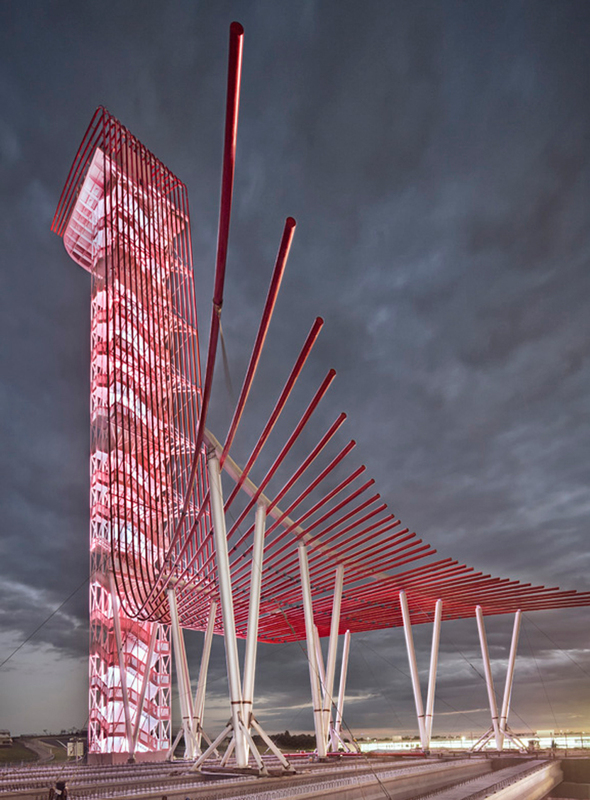 local practice miró rivera architects enjoyed the privilege of designing the 120,000-person capacity entry sequence which includesa grand plaza, observation tower, amphitheater and main grandstand. 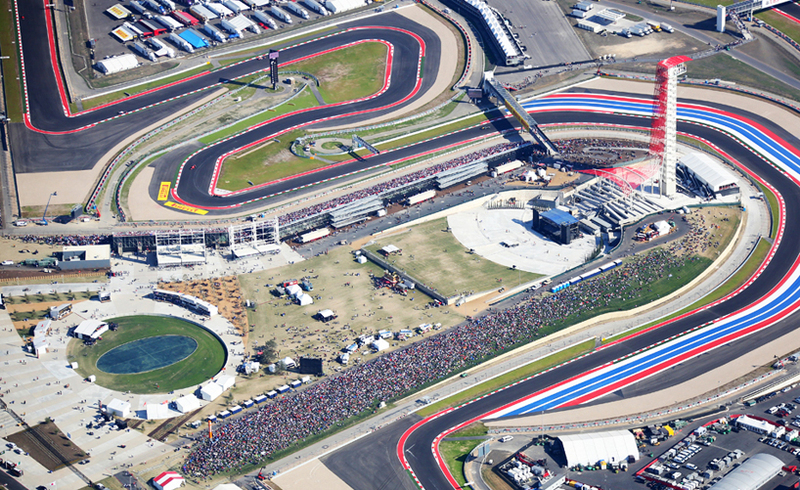 the grand plaza is situated on a peninsular piece of land surrounded by the race track on three sides, and greets visitors with a reflecting pool and a large expanse of grass where spectators are welcomed to sit and enjoythe races. 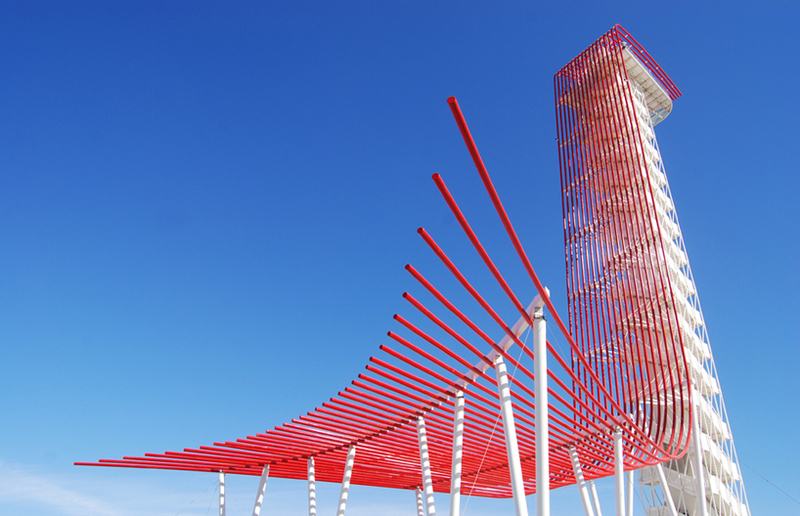 the most prominent component, a 250-foot tall steel space frame observation tower gives visitors an aerial view of the premises and the nearby cityscape and countryside. 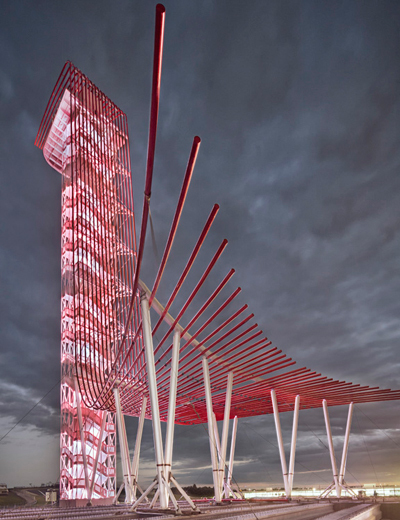 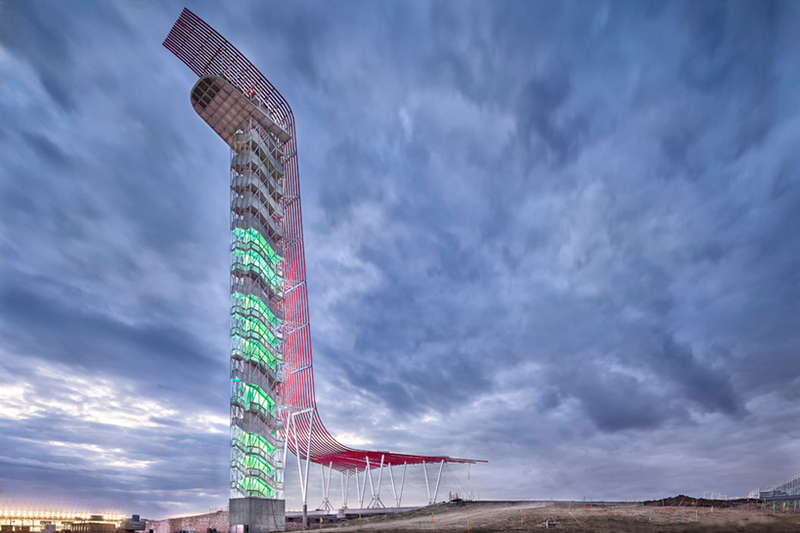 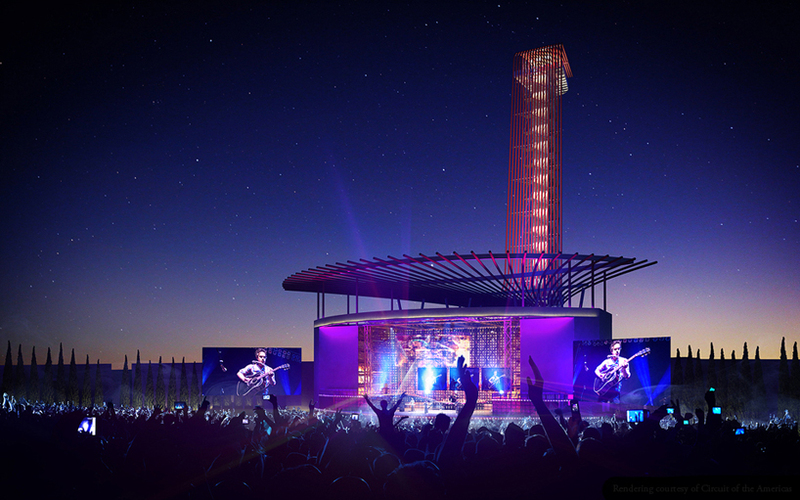 18 red metal tubes sweep their way from the top of the observation deck to become the 15,000-person amphitheater roof in keeping with a vernacular of speed, becoming the centerpiece and beacon of the track where social activities can be held year-round.